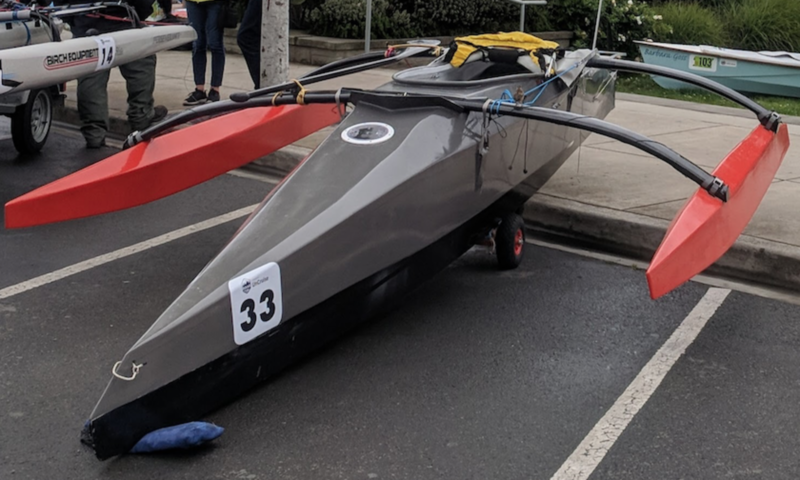 The Race to Alaska (R2AK) is an unusual 1200 km “adventure” in which any type of boat — from stand-up paddle board to 70′ foiling trimaran this year! — aspires to be the first to reach Ketchikan, Alaska, under wind- or human-power. The rules are very simple: no motors aboard; no support other than what’s available to everyone; and no adding or changing crew. The full race starts in Victoria, B.C. a few days after a shorter race from Port Townsend, Washington, to Victoria which serves as a qualifier for the full race. 2016 Qualifier: starts on Thursday 6/23 at 6 a.m. in Port Townsend, WA. Must reach Victoria Harbor by noon on Friday 6/24. 2016 Full race: starts on Sunday 6/26 at noon in Victoria, B.C. Must transit Seymour Narrows and Bella Bella en route to Ketchikan, AK. See handy links at the top of this web site, too! Don’t miss Jake’s hilarious descriptions of race teams! — with links to more slide shows, videos, web sites, and 2016 racers.